Wildbull badminton racket grip tape offer every player the opportunity to taper his or her racket handle to obtain the right combination of feel, absorption, durability and overall performance. 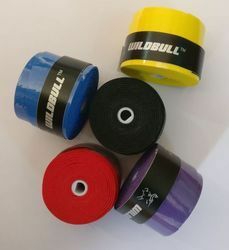 Whether you want to add thickness to a new badminton racket grip or replenish a tattered overgrip with like-new results, wildbull offers an assortment of badminton grip tape with just the right amount of tact, absorption and comfort. . No matter your badminton skill level, you need to be able to switch quickly from backhand to forehand shots with the slightest and quickest in-hand movements. You can’t do that if your badminton grip tape is too slippery, worn or the wrong size. 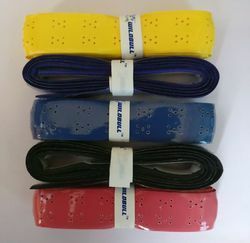 Looking for Badminton Overgrip ?